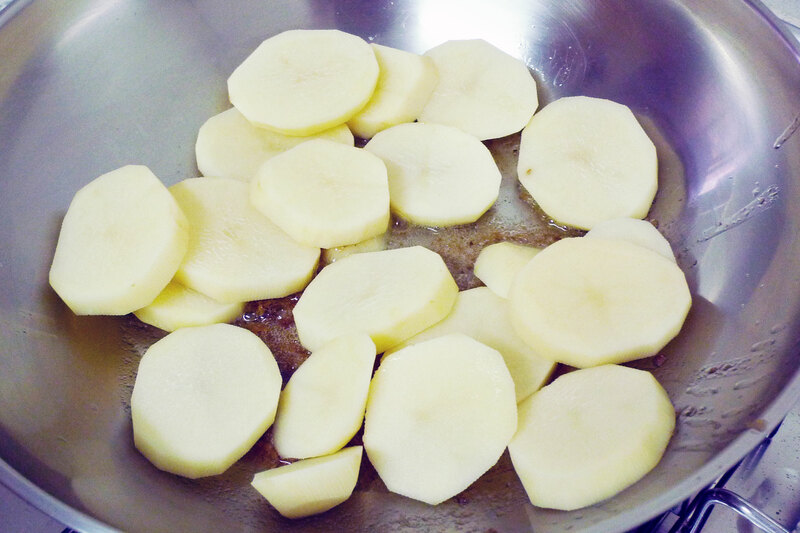 This is an interesting way of making Genoese “potato chips”. Instead of the usual frying, this is more like pan-roasting them together with anchovies. It starts with soaking the slices for about 15 mins then drying with a paper towel before doing the rest. Really looks like slices of bananas! 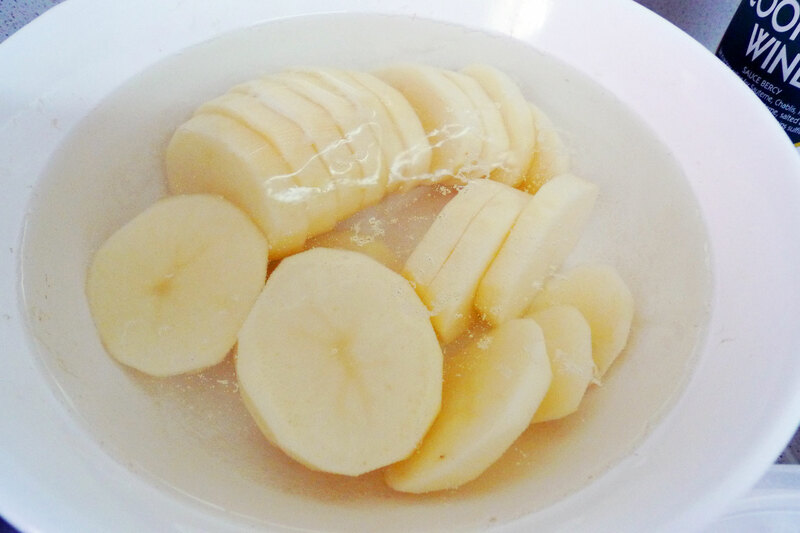 Slide in the potato slices, turn them over a few times to coat with anchovies and grind some black pepper over. After that, turn up the heat and cover the pan for about 8 mins, turning them from time to time. 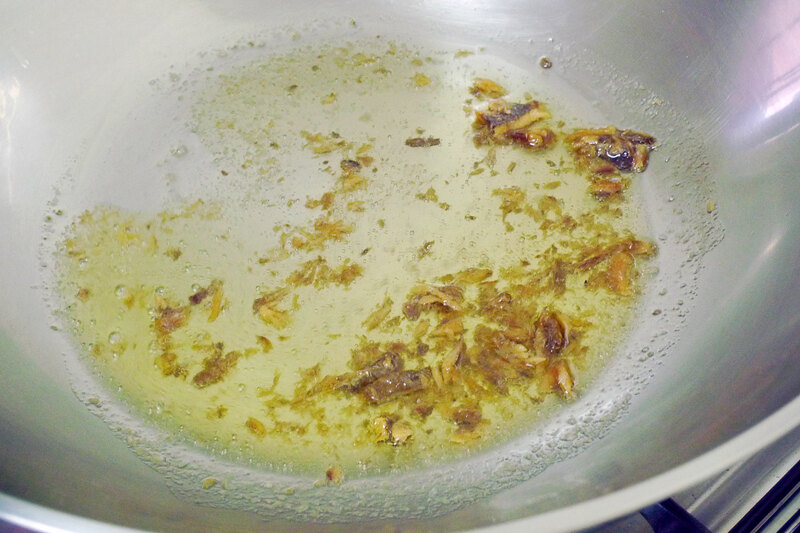 Then uncover the pan and do the same but for 15 mins this time. Finally, throw in some chopped garlic and sprinkle with parsley, turning them to coat. Add a bit of salt to taste. I have to say that these were absolutely delicious! The pan-roasting created potato slice that were slightly crispy on the outside but soft in the inside. 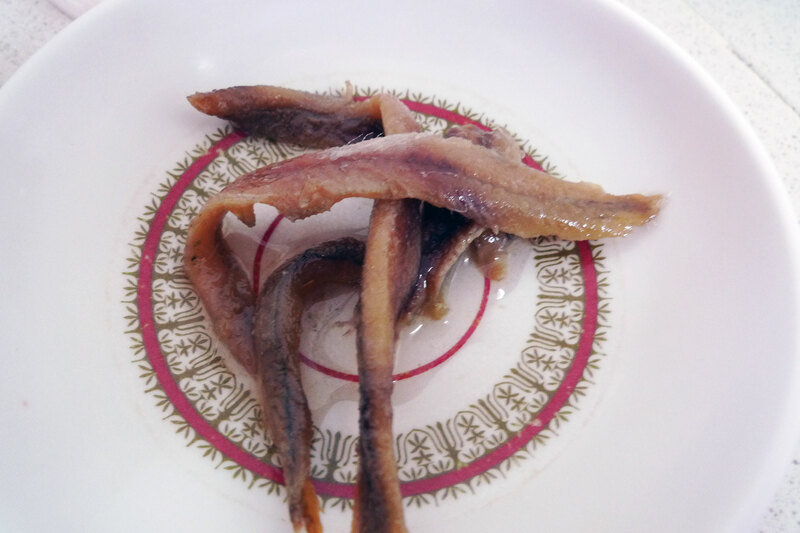 The saltiness was provided by the anchovies and the parsley added a subtle fragrance to lift it all up. 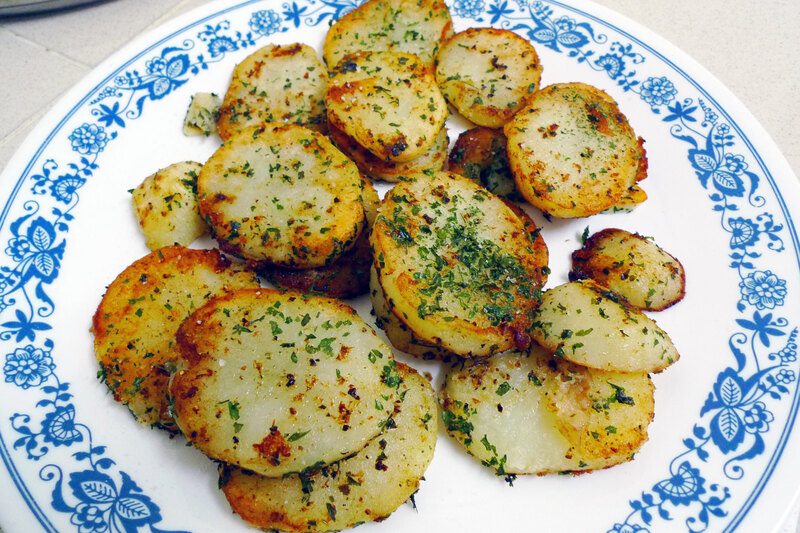 6 Responses to "Pan-roasted potatoes with anchovies, Genoa style"
That does look delicious. I love anything with anchovies! Even better that the potatoes don’t turn out too crispy. Hehe yah, I didn’t even need to add any salt at all! It’s a really amazing potato dish! Hahaha the parsley is surprisingly good on the potatoes! 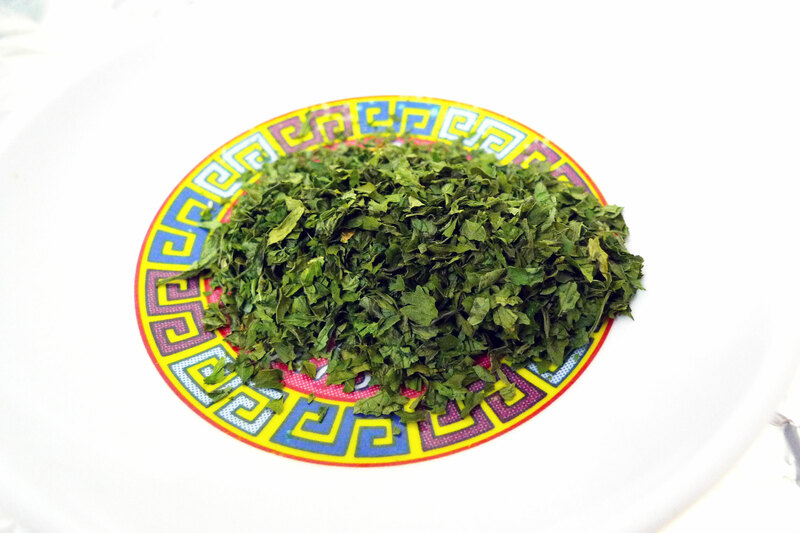 Maybe it’s because it’s dried parsley and not the fresh kind. The potatoes are wonderful, but be sure to use boiling, not baking, potatoes. Their firmer texture is required for a crisp, brown surface. 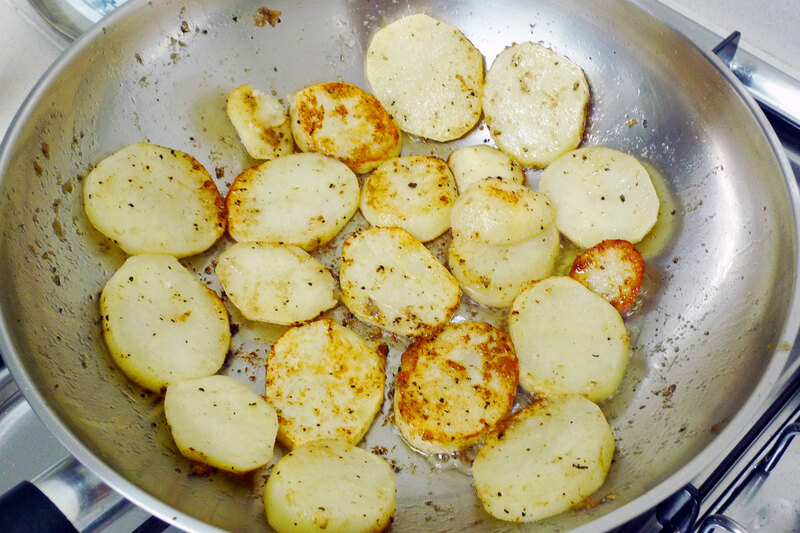 Add a bay leaf or two because bay really enhances roasted potatoes. Finally, if you wash your parsley in a salad spinner and dry it in towels, it will keep fresh a long time refrigerated in quart sized resealable bags. Thanks I’ll take note of those tips when I make these potatoes again. Very useful information!